Bruce Phillips co-founded PinPoint Commercial in 2000, and now leads the company’s mixed-use and healthcare initiatives. Prior to PinPoint Commercial, Bruce served as the president of Healthcare Property Company, which was formed in 1998 to service the real estate needs of clients in the ambulatory surgery center, specialty care, and primary care practices of medicine. During his time with Healthcare Property, Bruce specialized in investment sales, tenant representation, project representation, and development. 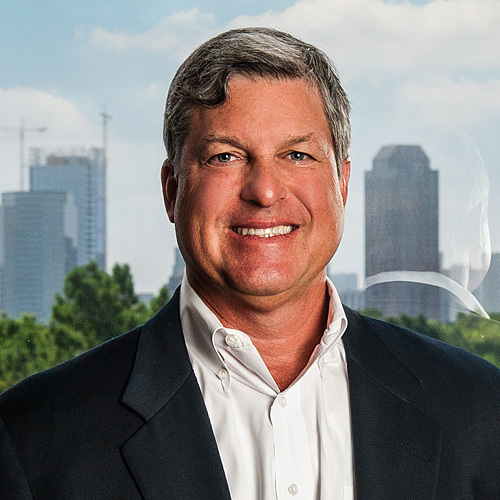 Prior to forming HPC, Bruce served more than ten years as a real estate professional for the national development company of Transwestern Commercial Services. In 1996, after spending eight years focused on retail real estate, Bruce started Transwestern’s Health Care Real Estate Services initiative, leading the client development program and structuring the implementation of services to health care companies. He continues to work closely with several hospital systems, physician practice management organizations, and physician groups while maintaining complimentary relationships with both developers and brokers.